Black Swan Consult is a European based consultancy firm specialized in doing business in Sub Saharan Africa. We support our clients in all phases of their African venture, from the initial planning and start up phase or existence stage until the success phase. The support is offered through strategic planning, operations management, inter cultural training and consultancy. Tjalling Yme Wiarda MBA (Henley), expert in Change Management, is the founder and owner of Black Swan Consult. Tjalling has worked in Africa for more than 10 years with several international clients, specializing in setting up small and medium sized businesses (SME’s) as well as local subsidiaries for Multinationals. Tjalling is familiar with Sub Saharan Africa having travelled in over 10 African countries and living in Ghana, South Africa and Zimbabwe. His major passion is Africa (history, economics and politics). Besides professional obligations Tjalling has been active for the Ghana Netherlands Chamber of Commerce, first as a project manager and in 2009-2010 as full Board Member. In those functions Tjalling assisted several European companies in Ghana and established a contract for the Chamber to process all Dutch Investment Requests on behalf of the Royal Netherlands Embassy in Ghana. 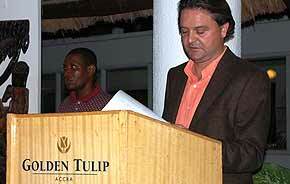 Through his work for the Netherlands Institute of Multiparty Democracy (NIMD) , a democracy assistance organization which supports institutional development of political parties and relations between those parties, civil society and the media, Tjalling extended his network outside the business community in Ghana. For our new service of Intercultural Training, Black Swan Consult collaborates with its business partner Clever Culture Communication. Clever Culture Communication is a Dutch based provider of intercultural training and consultancy services to a wide variety of multinational companies doing, or planning to do business in Africa. Sheriff Aligbeh is the founder and Director of Clever Culture Communication. Originally from Nigeria, Sheriff has lived and worked in The Netherlands for the past 21 years. He trains and consults on issues as cultural (mis)understanding, intercultural management, intercultural conflict management in an African business setting. Helping companies learn to observe and make appropriate behavioural adjustments when cross cultural issues become important to their productivity. Overall business efficiency in Africa is his speciality. 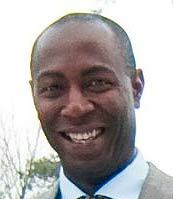 a board member of Sietar Nederland. Sheriff has travelled extensively in Africa, Europe, the Americas and Asia. Recognizing, understanding and reconciling cultural differences is not only his area of expertise, but his passion as well.